Just off the heels of an extremely successful run at the Toronto International Film Festival (TIFF), Clay Epstein’s Film Mode Entertainment is thrilled to announce the World Market Premiere of "BLOOD BOUND" starring EDEN BROLIN (BEYOND) daughter of multiple award-winning actor Josh Brolin, JOSEPH MELENDEZ (OZARK), and Emmy-Award Winner ERIC NELSEN (THE BAY). The film is written and directed by RICHARD LEMAY, who recently directed DIMENTIA 13 which was picked up for distribution by Universal’s specialty genre-arm, Chiller Films. Every 25 years, it begins. Bound to an ancient pact, a family of unlimited power descends upon a small rural town to sacrifice four human lives, one being a member of their own family. This "ROSEMARY'S BABY" meets "DRAG ME TO HELL" thriller takes a dark look into how far the human spirit can take one soul in it's most desperate hour. Layered with plot twists and conflicted characters, "BLOOD BOUND" follows six people as they carry out their destiny to their ultimate horror. In addition to "BLOOD BOUND," Film Mode Entertainment is pleased to present MIPCOM buyers with the 2017 TIFF Official Discovery Selection, "HUMAN TRACES," starring MARK MITCHINSON (THE HOBBIT) and SOPHIE HENDERSON (POWER RANGERS), and VINNIE BENNETT, an official TIFF 2017 Rising Star and one of the next generation’s actors poised for international success. The psychological thriller "HUMAN TRACES" will continue to make its mark at MIPCOM, alongside a number of other films that Epstein and Film Mode Entertainment have prepared, all of which focus on addressing a variety of needs in the marketplace. Productions such as "VIKING DESTINY" starring screen legend TERENCE STAMP, and "KNIGHTS OF THE DAMNED," from the producer of "GAME OF THRONES," strive to bring a new kind of action movie to the box office. 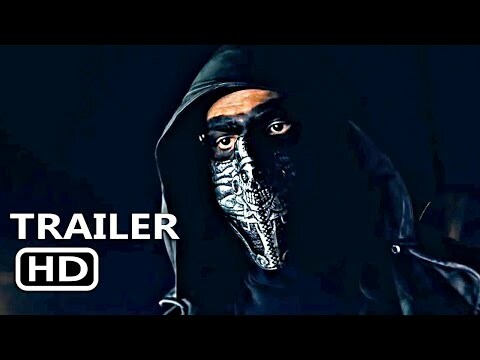 There are also a variety of Thriller and Horror films from Film Mode Entertainment, including FrightFest Official Selection "MINDHACK" that premiered last month in London to rave reviews. This new sci-fi thriller, featuring amazing special effects, delves deep into the controversial, chilling and terrifying world of bio-hacking, especially and frighteningly relevant in current times. “We were blown away by the originality and timeliness of Royce’s directorial debut. This is one of the most creative and commercially relevant films in the marketplace that knows exactly who its audience is; Millennials and Gen Z,” Clay Epstein, President of Film Mode Entertainment, said. Other films in this genre include, "THE NINTH PASSENGER," "THE GRACEFIELD INCIDENT" and "DON’T SLEEP." Also available in select markets are "THE GOOD NEIGHBO"R starring JAMES CAAN, "AFTER THE REALITY," "GHOST TEAM" and more.